Schlock-Wire: Canadian Power-Trio Triumph Will Unleash GREATEST HITS REMIXED CD/DVD Set In May – Schlockmania! 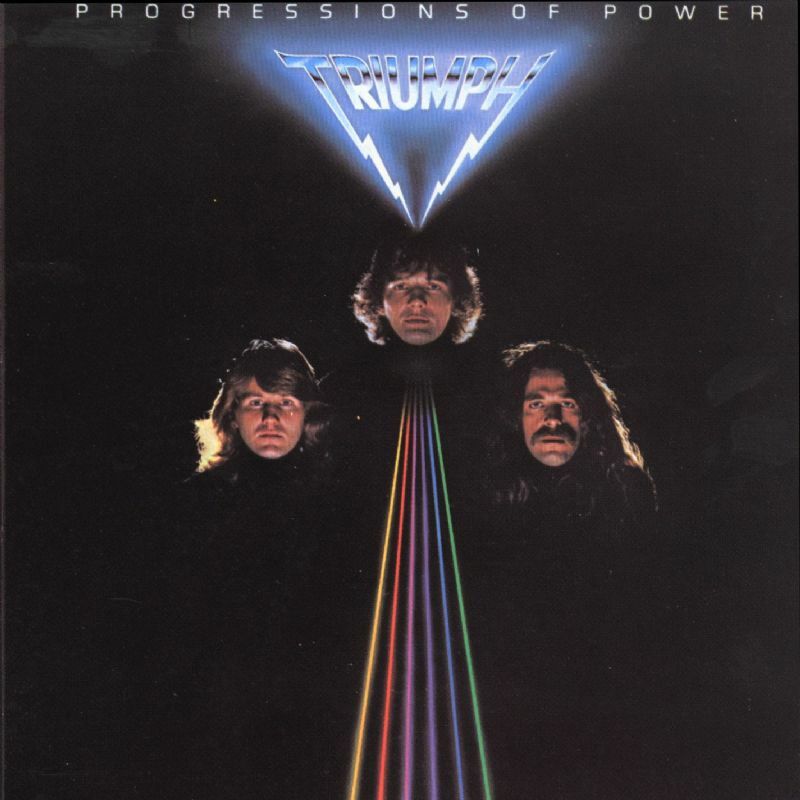 TRIUMPH, the legendary Canadian Hard Rock trio formed by Gil Moore (drums and vocals), Mike Levine (bass and keyboards) and Rik Emmett (guitars and vocals) are releasing in Europe on Frontiers Records the newest Greatest Hits compilation package on CD and DVD appropriately titled Greatest Hits Remixed. The two-disc set, which will be in the shops on May 14, includes a hit-laden 14 track CD, which was remixed by Rich Chycki (Aerosmith, Rush), giving the songs an incredible sonic wallop. A previously unreleased recording of “Love Hurts” will be the new lead single. 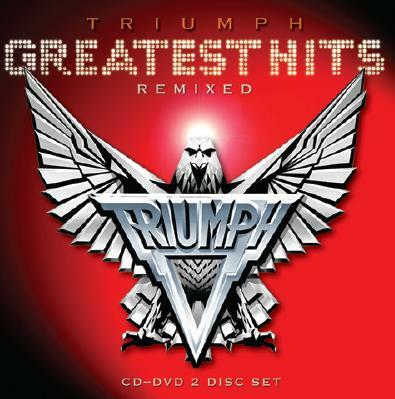 The DVD features 11 promo and live videos in widescreen filmed over Triumph’s career, as well five bonus features, including three more unreleased videos (“Child of the City,” “Blinding Light Show” and “Love Hurts”) and footage of Triumph’s induction into the Canadian Music Hall of Fame in 2008. The six-panel digipak will also include a 20 page full colour booklet, complete with liner notes, lyrics, credits and chockfull of vintage photos and will most certainly be a hit with Triumph’s consistent legion of fans. And now, fans both new and old will have the opportunity to discover/re-discover Triumph, with the all killer/no filler Greatest Hits Remixed. 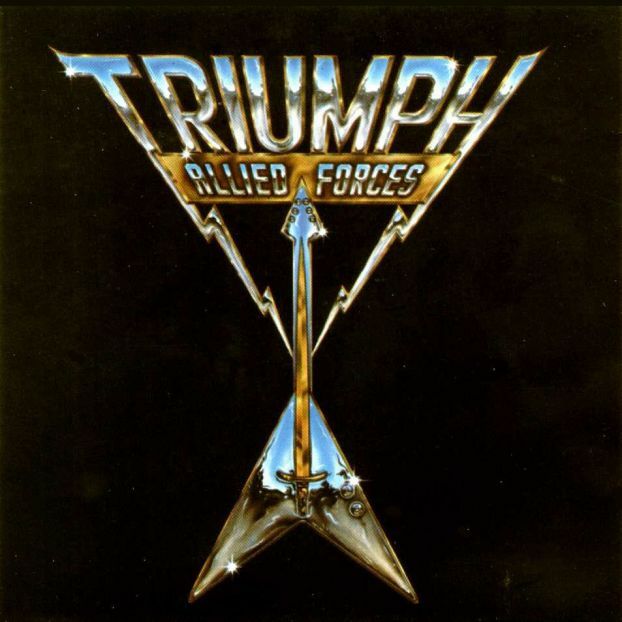 Frontiers looks forward to work with Triumph and plans more surprises for the fans of this amazing band! That video track had one of the world’s longest ending. They wouldn’t qualify as a power trio if they didn’t how to e-x-t-e-n-d the music. 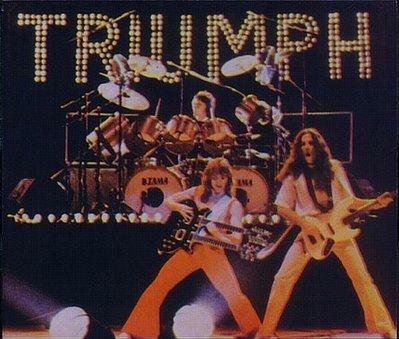 Well, I like Triumph more than Rush! I like my music more pop and less “musician-oriented”, so I enjoy things like Follow your heart or Magic Power. And less irritating vocals. In fact my fav is Thunder Seven, Killing Time is a great. Comparing Rush to Triumph is apples and oranges. Both killer bands in thier own right…but totally different. A Triumph reunion tour would be amazing….and sold out !! I guess it’s a matter of personal perspective – both are power trios, both had an artsy edge but Triumph is definitely the more “meat and potatoes rock” proposition. However they might be categorized, I enjoy both.